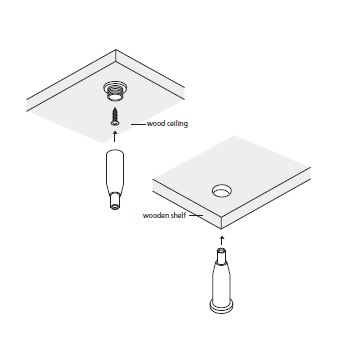 Useful either as a ceiling connector into wood for lightweight displays. 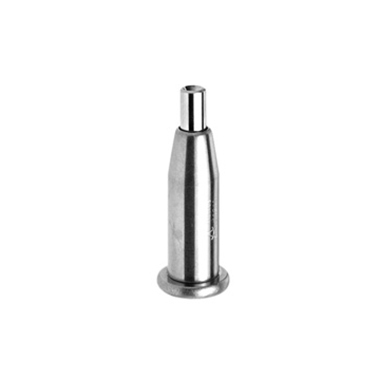 The single screw fastener is hidden by the body of the gripper. For greater holding strength to the structure use SF35SET or SF60SET. 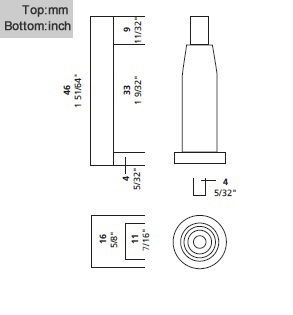 As a midway connector for wood shelves drill a 29/64″ hole through the material and slip the shelf over the SF16SET. The wood shelf will rest on the flange.